About Us – D&E Green Enterprises, Inc.
D&E Green Enterprises is an award winning social enterprise which seeks to break the cycle of energy poverty in Haiti by specialising in the manufacture and distribution of low-cost, high-efficiency energy technologies. D&E Green employs market-based solutions to solve local energy problems, tailoring its products and services to the specific needs of each target community. Since its foundation in 2009, D&E Green has established itself as a leader in the Haitian fuel-efficient cook stove market, leaving it uniquely positioned to facilitate and drive demand for improved cooking technology nationwide. To date, D&E Green has sold over 60,000 fuel efficient cook stoves across Haiti. Traditional open fires and inefficient cook stoves using solid fuels cause a range of harmful impacts that impede economic and social development and lead to significant loss of life in the developing world. 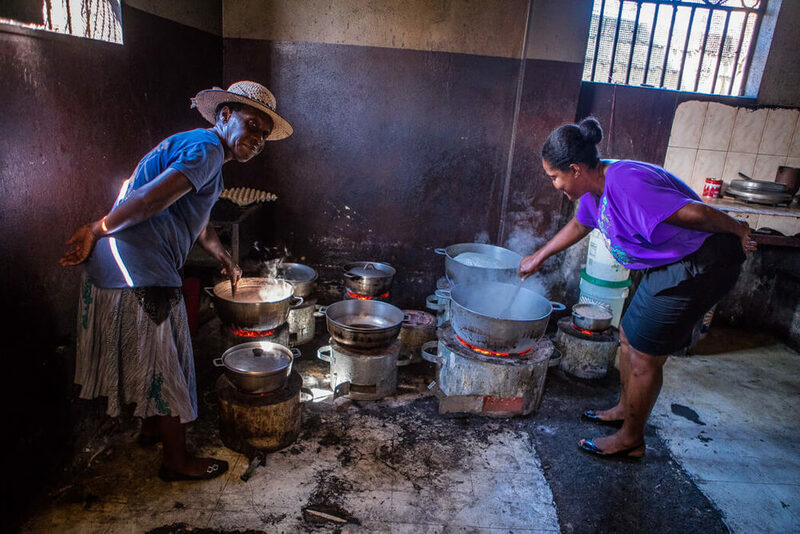 D&E Green Enterprises aims to bring affordable, reliable and clean energy to resource-constrained communities in Haiti through the setup and manufacture of low-cost, high-efficiency clean cook stoves. The cook stoves are designed to reduce charcoal consumption by up to 50%, and generate a range of social, health and environmental benefits; helping to loosen the grip of energy poverty in Haiti.